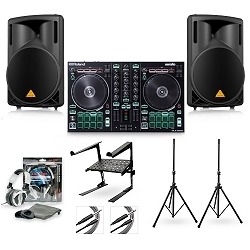 The Pioneer DJ DDJ-SB3 & Behringer B210D Package is the affordable solution to a professional DJ Set-Up! 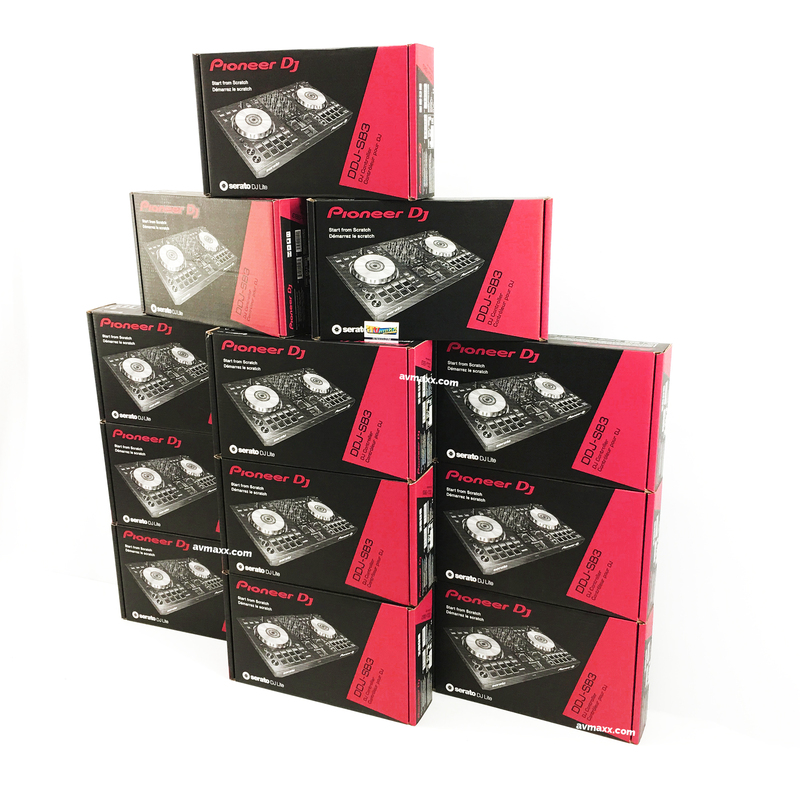 Built around the powerful Pioneer DDJ-SB3 DJ controller, this DJ package features all the modern digital DJ needs to start mixing right away. 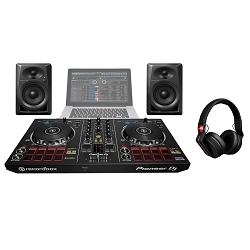 Whether you’re a starting DJ or you’re already booking regular gigs, you’ll appreciate the tight, accurate sound of the included pair of Behringer B210D and the amazing performance-enhancing features of the Serato DJ-enabled DDJ-SB3 controller. From headphones to speaker stands and cables, this package includes everything you need to get the Party Started, Right Away! DJ Please don't stop the Music! 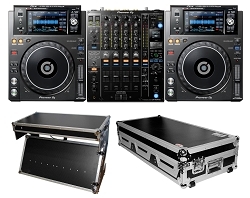 The DDJ-SB3 takes you beyond control with pro-grade features and a robust build. 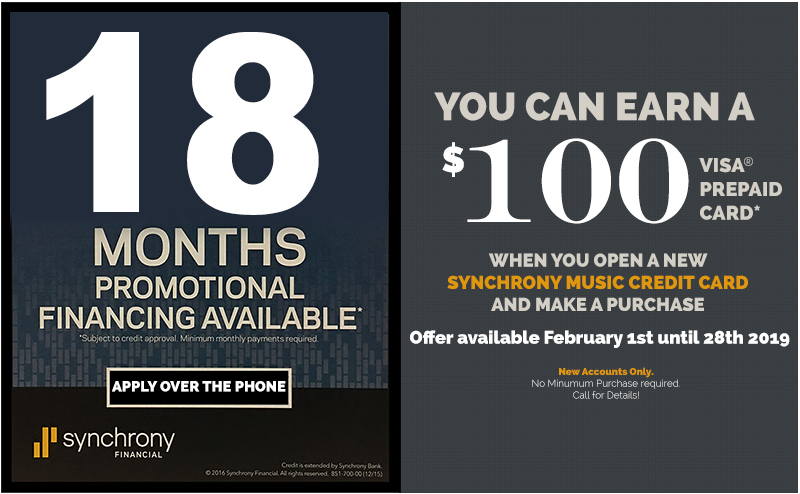 DJing has never been easier and more intuitive, even for novices. 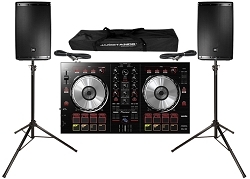 This controller has been upgraded with 4-deck control and dedicated buttons to switch between channels effortlessly. 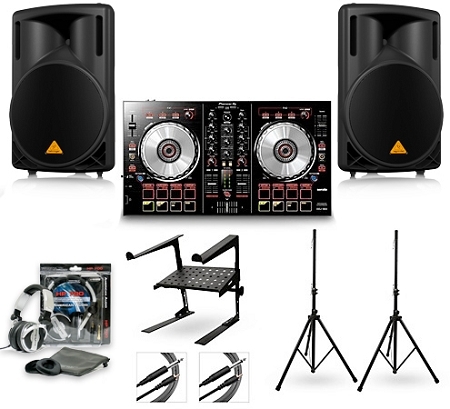 Large, capacitive jog wheels and updated effects put you in control of you mixing and give you creative control. 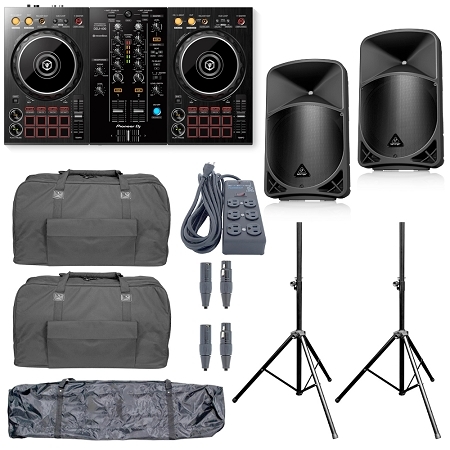 The Behringer B210D powered loudspeaker offers 400 watts of clean, articulate Class D amplification, bringing more power and robust sound to your DJ gig. This 2-way full-range speaker system features a 10 in. low-frequency driver and a 1.35 in. compression driver plus a built-in, 2-band EQ. It also has an advanced limiter with a clip indicator to protect your system and maintain pristine sound.